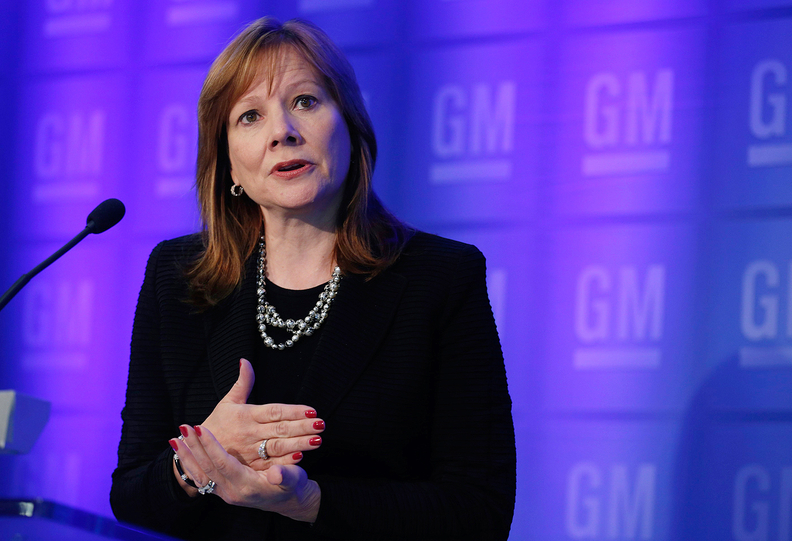 GM CEO Mary Barra was awarded 79,639 restricted shares. DETROIT (Reuters) -- General Motors awarded its top executives with shares in the company as part of a long-term incentive plan, according to company filings with U.S. regulators. The award of the shares disclosed on Friday offered the first glimpse of 2015 compensation for GM's top executives. CEO Mary Barra was awarded 79,639 restricted shares that will vest annually over three years starting in February 2016. That is up from the 50,015 shares she was granted last February. The value of the common shares will depend on the value of GM stock when they are sold. At Friday's closing price of $37.62 for GM shares, Barra's total stock award would be valued at about $3 million. Barra's 2014 salary was $1.6 million. With stock awards, some of which are based on meeting performance targets, she is expected to have total compensation for last year of about $14.4 million. That figure will be given when the company issues its proxy statement, which in the past few years has been in April. Dan Ammann, president of the company, was awarded 29,865 shares, which would be valued at $1.1 million if cashed in on Friday. Mark Reuss, GM's product development chief, was awarded 25,385 shares, worth about $955,000 at Friday's share price. GM's current long-term incentive plan for its top executives was established last year. Federal government restrictions on executive compensation were loosened after the U.S. Treasury sold its remaining GM shares in December 2013.